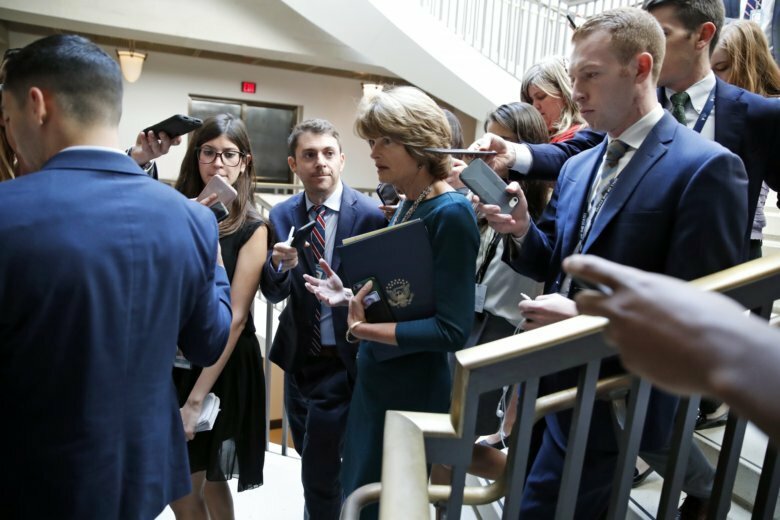 WASHINGTON (AP) — The eyes of the polarized nation are riveted on three Republican and one Democratic senator who aren’t saying, so far, whether they are ayes or nays on the politically fateful question of whether Brett Kavanaugh should sit on the Supreme Court. One Democratic senator facing a tough re-election in North Dakota, a state President Donald Trump won handily in 2016, announced she’s against Kavanaugh. Suspense remains, however, around the other undecideds. They’ll have to go public with their decisions soon. Even before the FBI had delivered its report on the allegations against Trump’s nominee, Senate Republican leaders set the chamber barreling toward an up-or-down vote sometime this weekend. But first, these five are reading the FBI report as they navigate the political storm that Kavanaugh’s nomination has created. Notably, some could vote yes — and also, no — on Kavanaugh-related questions under the Senate’s always-interesting rules and traditions. Second, as soon as Saturday, senators will take a final vote on whether to confirm Kavanaugh to a lifetime seat on the high court — or not. Confirmation requires a majority of the 100-member chamber. Sen. Jeff Flake, the Arizona Republican who is retiring, said he intends to vote to confirm Kavanaugh. But hours after issuing that statement last week — during which two protesters cornered him in an elevator on live television — he attached a condition. He’ll vote for Kavanaugh’s confirmation as long as there is an FBI investigation into Ford’s allegations. A key swing vote on the Senate Judiciary Committee split 11-10 as well as in the closely divided Senate, Flake got something resembling his wish: Republicans agreed to a weeklong pause in the drive toward a confirmation vote, while the FBI investigated “credible allegations” against Kavanaugh.